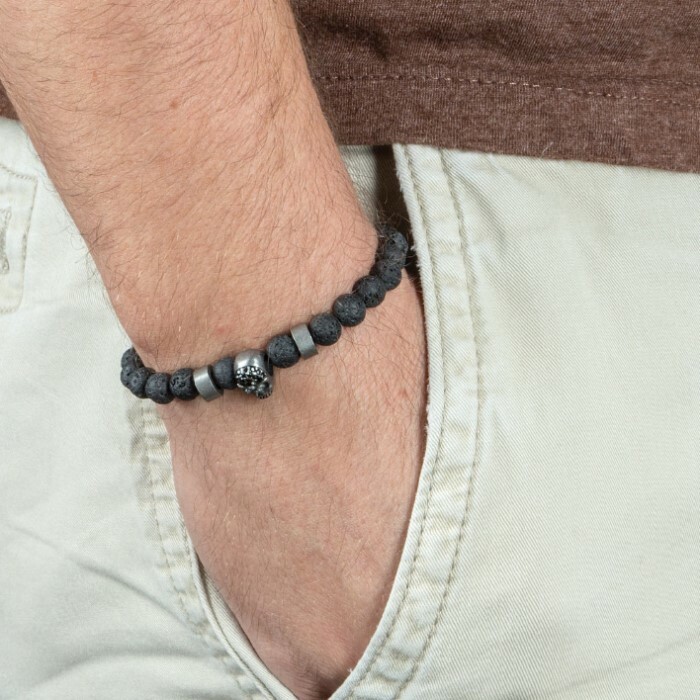 From rock forged in the fiery depths of a volcano, our Lava Stone and Skull Bracelet was crafted to show how something of beauty can be born from something so destructive. The genuine black lava stone beads have the unique pitted texture which you find in natural volcanic rock. 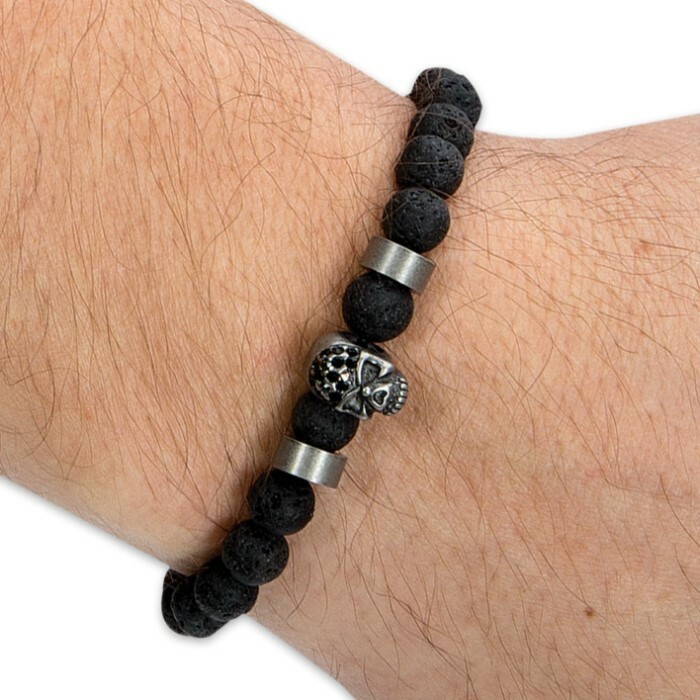 Stainless steel pewter colored beads and a bead in the shape of a skull are used as both accent and contrast in the design. It is truly a beautiful and unique piece of jewelry to add to your wardrobe. 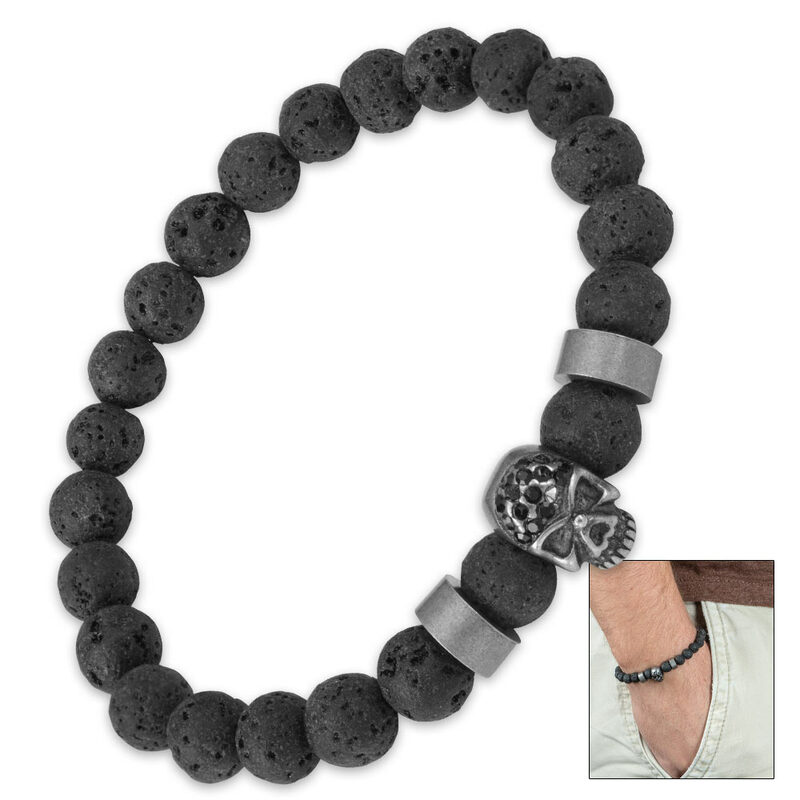 The lava stone bracelet looks good as an accessory whether you’re dressed up or down.